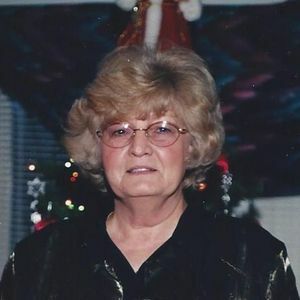 GREENVILLE - Rebecca Lee Hardison, 76, of Greenville, died Tuesday, May 26, 2015, at 4:40AM at her home. Mrs. Hardison was born September 12, 1938, in Muhlenberg County. She was a homemaker and member of Browder Missionary Baptist Church. She is survived by her husband, Earon Hardison; son Tracy Hardison of Rosewood; grandson Josh Hardison of Rosewood; brother James Oglesby of Luzerne; and sister Barbara Butler of Greenville. Graveside funeral services will be Thursday, May 28, 2015, at 1:00PM at Ebenezer Cemetery, with Rev. Jeremy Jessup officiating. Tucker Funeral Home is in charge of arrangements. Online condolences may be made at www.tuckerfuneralhomes.com. I will miss you Becka Lee. Loved you for a life time. Rest in peace my dear sweet friend. Through my teenage years Becky was like a second mom to me. I spent as much time at their house as I did my own. How she suffered through our beginning stages of becoming a band is beyond me. She treated and loved me as one of her own. I will never forget the fried hamburgers and orange Kool-Aid. I remember a quote she had that I heard her say many times and I adopted it myself. "Live and learn, die and forget it all" She will be missed by all that knew her. She has always been an Angel in my book. Rest in peace my friend. God bless the family, you have all my love.